My Fashion Week Kicked off at Spring Studio’s where Target and Phillip Lim hosted a private shopping event in celebration of 3.1 Phillip Lim for Target! It was the perfect day to celebrate and toast with Karen Craig, Jessica Alba, Maria Sharapova, Hannah Broffman, Julie Henderson, Solange, Nate Berkus & George Kotsiopoulos! The collection launches in stores on Sept. 15. The event also featured the reveal of “STYLESCAPE,” a larger-than-life interactive photography display that showcased the limited-edition collection as worn by style tastemakers across the U.S. and Canada. 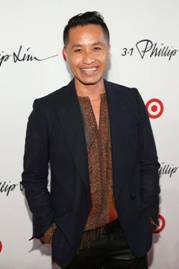 This was such an amazing collaboration when Target partnered up with Phillip Lim to celebrate his chic , effortless and wearable aesthetic. There’s no doubt that this limited-edition collection of apparel and accessories, including an assortment of bags, shoes and scarves, for women and men on-the-go will remain staples in your fall wardrobe. The collection consist of more than 100 pieces which range in price from $19.99 to $299.99 for apparel and $19.99 to $59.99 for accessories, 3.1 Phillip Lim for Target will be available Sept. 15 at most Target stores and Target.com. GO GRAB & GET IT BEFORE IT’s GONE!